Bright Starts™ Pretty In Pink™ Tug Tunes™ is sweet and made just to entertain baby girls on-the-go! 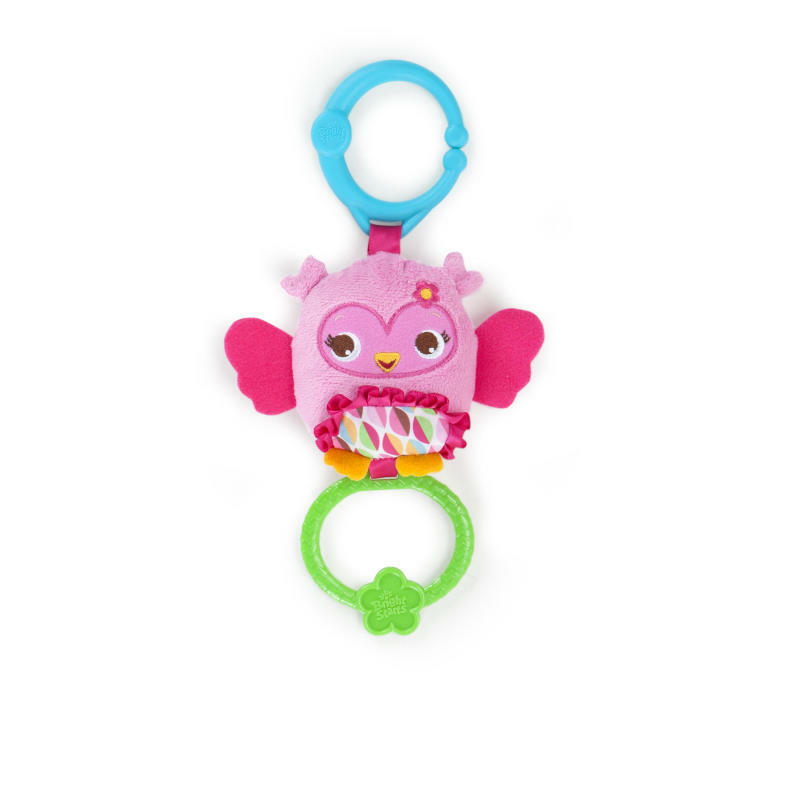 This pink, plush owl plays 4 sweet melodies when baby pulls on the easy-to-grab handle. The link makes it attach easily to carriers, strollers, and more. Dimension (in) 3" x 2.75" x 9.75"